Way before there was a Nike, there was Adidas and Puma. The basketball shoe wars of today are echoes of the battles that took place between two rival German shoe manufacturers. And in these battles emerged a hugely lucrative sports marketing business that benefited both maker and athlete. At the Melbourne Summer Games in 1956, the son of Adidas owner, Horst Dassler, convinced officials to prevent the shipment of Puma shoes from passing through Customs. At the same time, the Adidas shipment came through allowing him to give away shoes to eager Olympians. When American sprinter Bobby Morrow won three gold medals in Melbourne, he was wearing a free pair of Adidas running shoes. When Americans saw Morrow and his triple-striped shoes on the cover of Life Magazine, Adidas sales jumped. The German champion sprinter of the 1960 Games in Rome also got free shoes, and a whole lot more. Armin Hary was the first runner other than an American since 1928 to win the 100 meter race and lay claim to the fastest man on the planet. And when he crossed the finish line, it was in Puma spikes. Yet, when he stood on the winners platform to receive his gold medal, he was wearing the stripes of Adidas. (Go to this site to see the pictures.) Hary was clearly playing Adidas and Puma against each other, not only receiving shoes, but also payments. In 1964, the human bullet, Bob Hayes was in the middle of a bidding war between the two companies. By 1968, it became common practice for athletes to get paid by Adidas and Puma under the table for wearing their shoes, and the more famous you were, the more cash you got. Adidas had exclusive rights to set up shop in the Olympic Village at the Mexico City Games. Sports Illustrated at the time reported that runners would receive cash payments of $100,000 or more. Hundreds of thousands of dollars pales in comparison to the tens of millions athletes receive today to endorse sneakers. 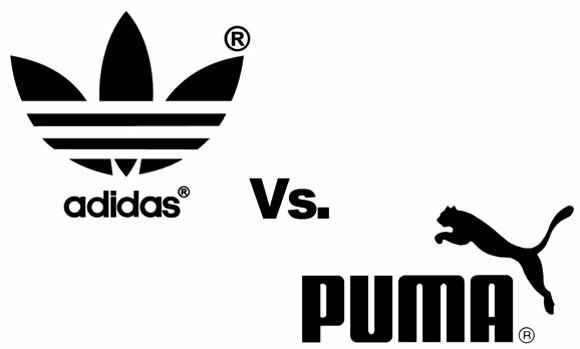 But the hugely lucrative world of sports marketing was born of the war between Adidas and Puma. Posted in Business, Other Olympics and tagged 1956 Olympics, 1960 Olympics, Adidas, Armin Hary, Bob Hayes, Bobby Morrow, Puma, Richard Hoffer, Sneaker Wars, tokyo olympics. Bookmark the permalink. Roy: You are aware of my book which has bee published. In the 1968 chapter changing of shoes are address as a Amateur violation IOC or IAAF did not attempt to investigate, yet they knew what was going on. Horst Dassler was a friend of mine, during my competition years, and wanted to stop by AAU offices enroute to Germany. I was the T&F administrator, he offered me the names of ONLY US athletes, he paid, if we would began to suspension hearings. I refused the names and you can read the rest in my book. Ollan, great story! I can’t wait to read your book!